Join me and Hans Roy tonight at 9PM as we interview Zachary Etheart, a Columbia University student who wrote the following article about the policing of black students on the Columbia University campus at the height of the Black Lives Matter protests. Zack Etheart is a writer and a student in his fourth and final year as an undergraduate at Columbia University. He has interned at The New York Times Magazine, Harper's Magazine, and Interview Magazine, as well as on the creative team at eyewear start-up Warby Parker. He covers art and politics, and is especially interested in film, fiction, radical activism, and fashion. He is majoring in race and ethnicity studies, and is planning to graduate in May 2015. 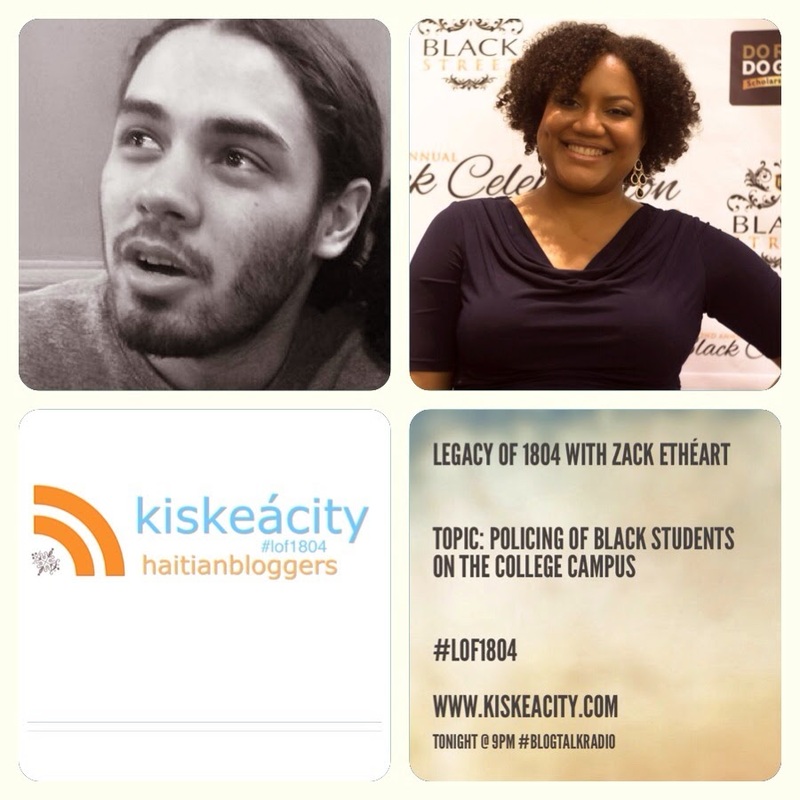 Listen live at http://www.blogtalkradio.com/belize/2015/02/14/legacy-of-1804-with-zachary-ethart-lof1804 or 646-716-8541.